← Good. Fast. Cheap. Pick Two. What amazing images! 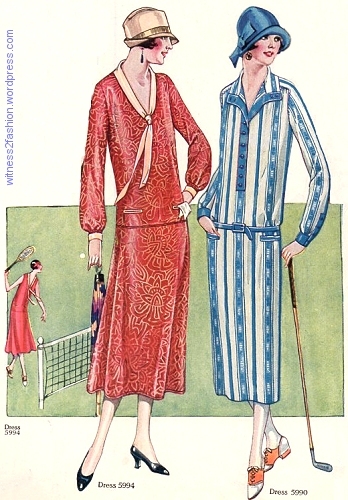 I particularly love the one where the men are handicapped by women’s clothes. This is fantastic. 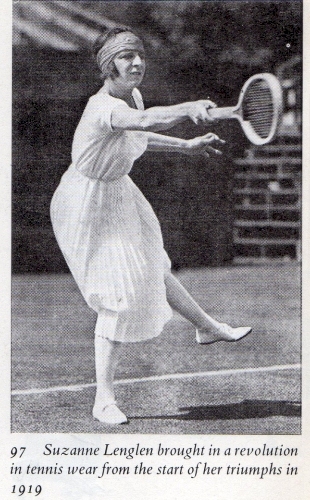 I love the Lenglen outfit and think it was free enough for movement. I hope you will cover “gorgeous Gussie” and her frilly underwear next time! Glad you like it. 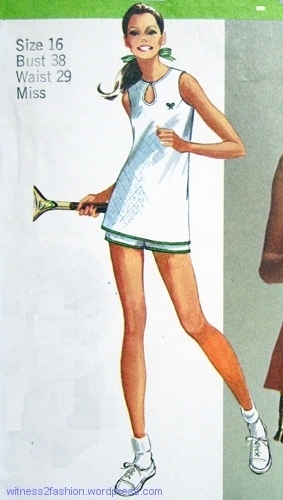 I think some of the links I included show Gussie in her shockingly frilly under shorts. Interesting article, thank you – you have put in a lot of research! Can’t wait for part 2. 1. 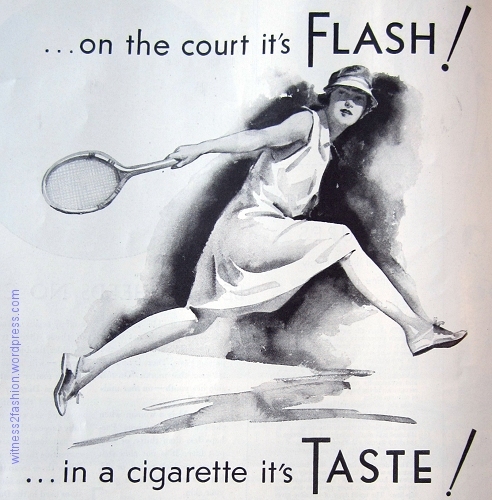 We don’t always see the signifance of tennis and tennis clubs today. In the late 19 / early 20 centuries they represented a major liberation for women. Girls could go there either unchaperoned, or “chaperone lite” because all members (male and female) had to be approved by the membership committee. Therefore, dear mothers, your daughter was safe at the tennis club. 2. 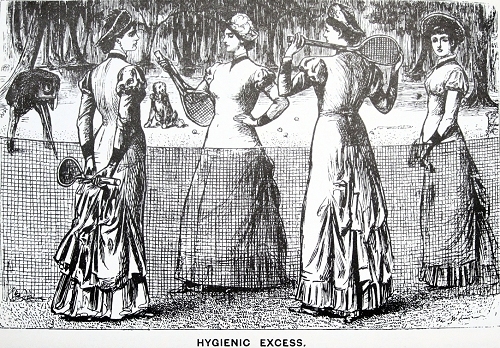 Tennis clubs were often more social than tennis – in the dark English winters they had dances, social evenings etc. An ideal way for girls and boys to mingle without parental oversight. Remember that before 1914 it was normal for the father of the household to open and read all incoming letters – wife, daughters etc. 3. 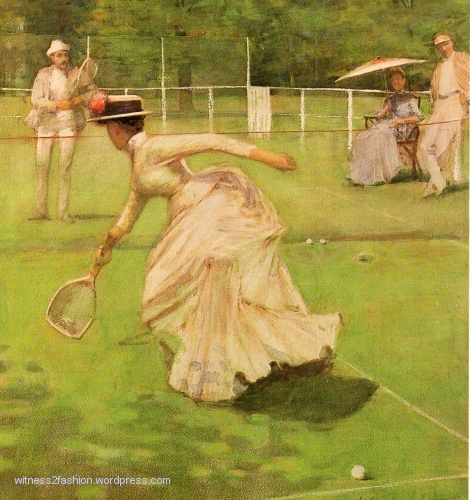 The game of tennis itself was a great liberator for women – long skirts, bustles, tight waists all disappeared, but it took a long time. 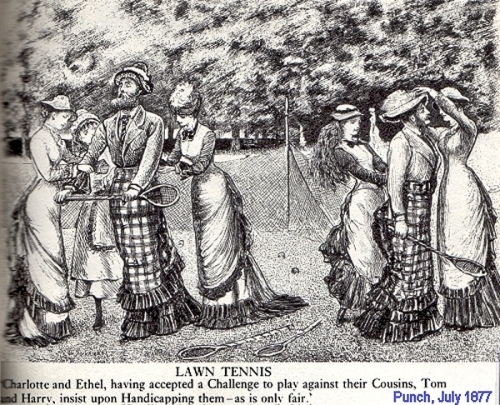 I’ve seen circa 1910 advice to male tennis players that in mixed games (much more significant than today!) that men should not return shots to women that would not need an overarm response. 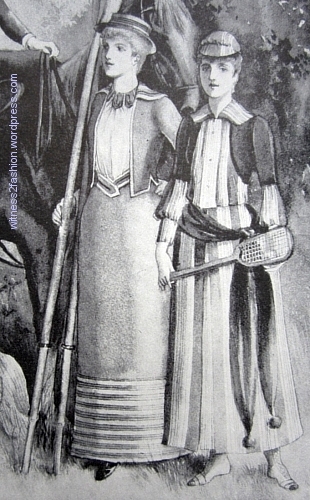 Their corsets and dresses with small tight armholes would make raising the arm higher than the shoulder difficult. Gentlemen should return shots that could be played under arm. 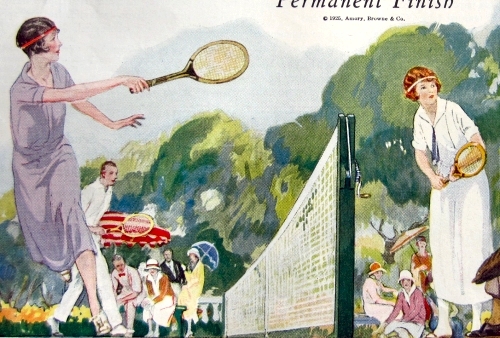 Thanks for the information about “tennis clubs.” I have no personal experience of the “country club life,” but the idea of only meeting “our kind of people” is a factor in both. 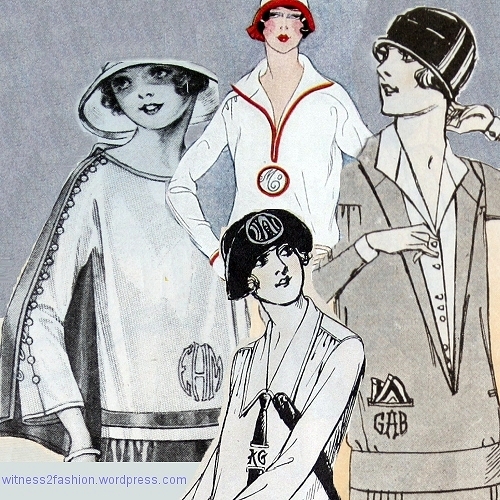 The Vintage Traveler is a specialist in women’s sportswear; I just like to share pictures that I find interesting! One of her readers commented on the rules for men playing against women. Loved these, of course. 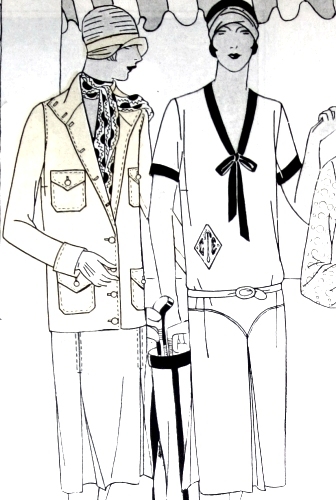 You are right that the fashion illustrations should not be taken too literally. 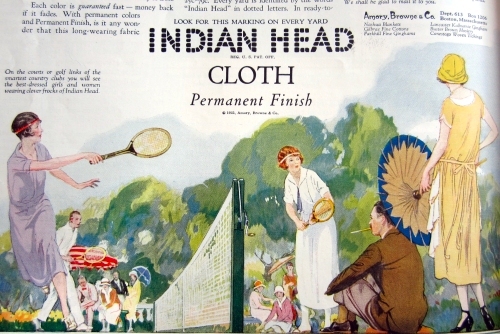 By the 1920s proper tennis dress was always white, though depending on where the court was located that rules was not always followed. 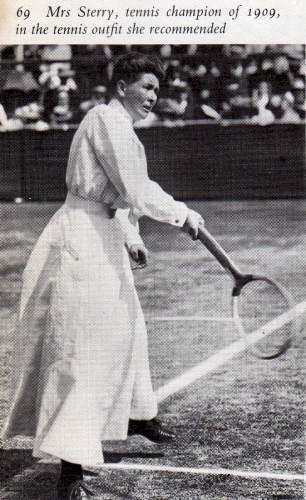 I looked through my vintage photos of women tennis players in the 1920s, and all made an attempt to wear white, though other colors were often added. 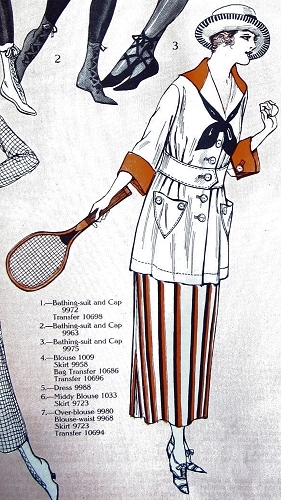 Interestingly, for golf, one never wears all white, but I’ve seen plenty of vintage illustrations showing golfers in white! Fascinating! I had never heard about golfers not wearing all-white — You’d think that any sport played in the hot sun would be easier in white clothes. When I lived in a city with 100 degree summers, I could really feel the difference between a black shirt and a white shirt in full sun.